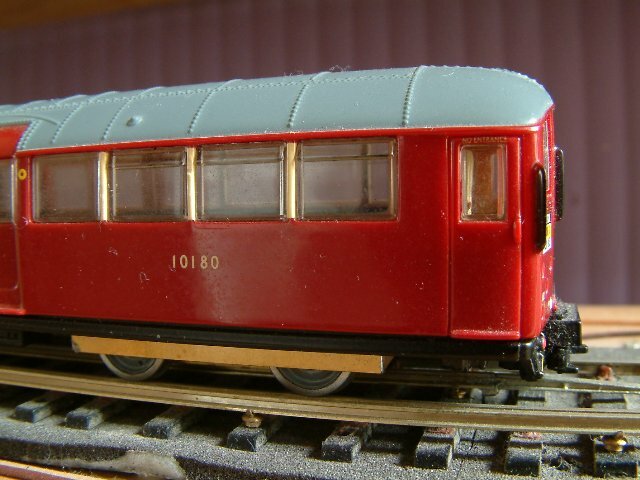 A bogie underneath an EFE driving car before sideframes (from the EFE bogie frame) have been fitted. 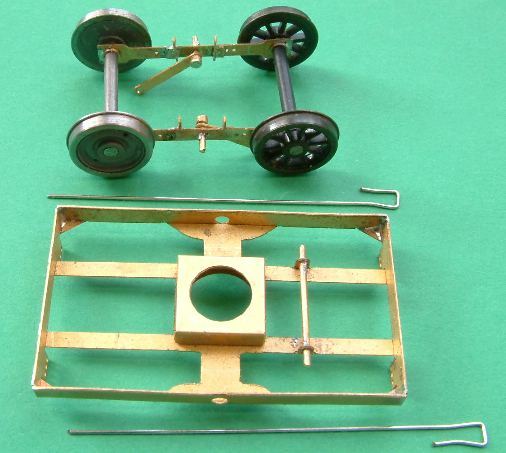 These are 25mm wheelbase sprung bogies. 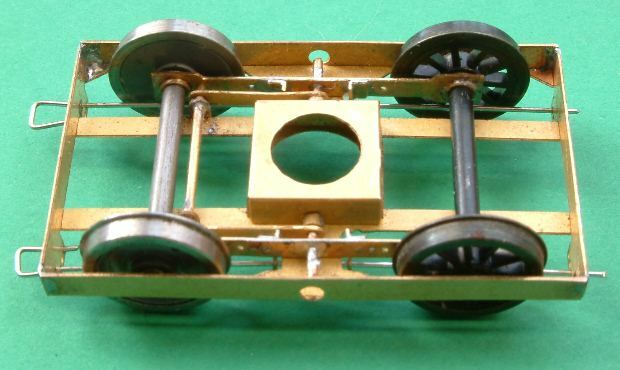 Inside bearings have been used because it wasn't possible to spring outside bearings within the vertical space of the bogie frame. 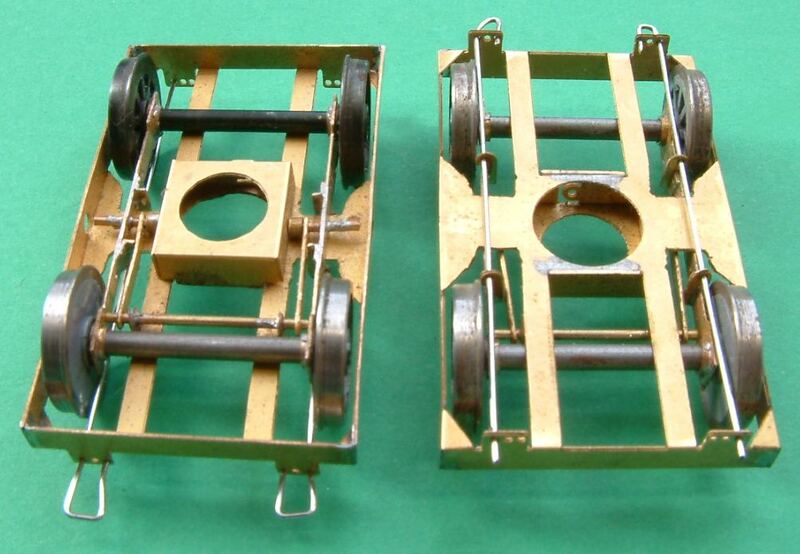 The height constraint has also precluded secondary springs, so these single-wire equalising beam bogies need to perform a complex of agilities. 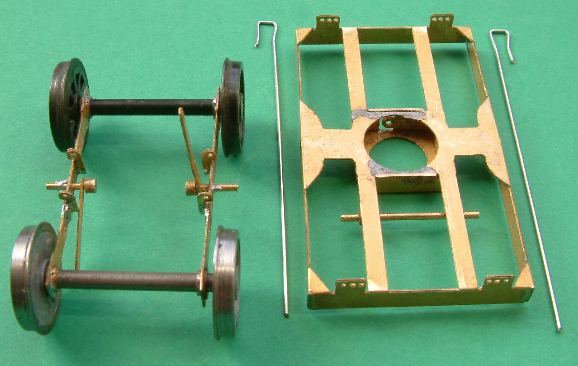 The following photos are of Ted Scannell's design for a drive bogie, one axle of which will be fitted with a Bill Bedford 14:1 gearbox, driven from the chassis-mounted motor via an intermediate step-down arrangement also mounted on the EFE chassis.